PARIS, Sept 4, 2010 (AFP) - Spain made an impressive start to their quest for an historic treble in the opening salvoes in Euro 2012 qualifying on Friday, which saw wins for England, Holland and Germany but defeat for France. 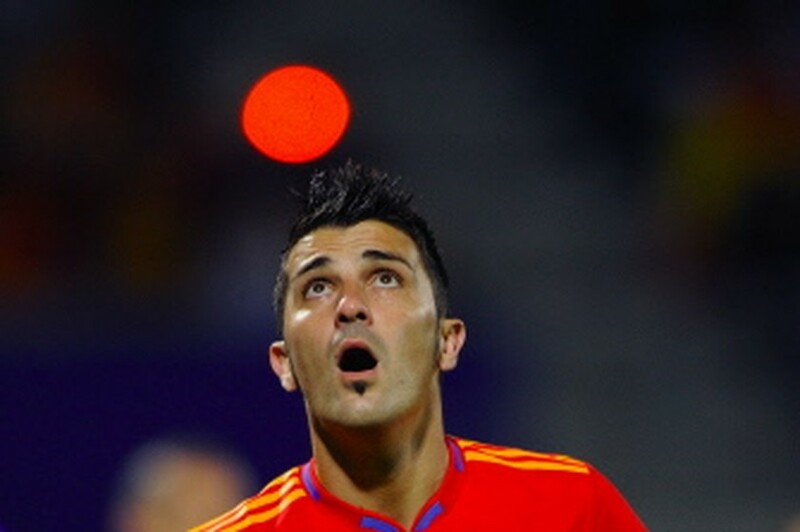 Spain are seeking to become the first country in history to annex a World Cup and two European titles. And Vicente del Bosque's men, in their first competitive outing since scaling football's global summit at Soccer City in July, swept aside little Liechtenstein, ranked 141 places below them in FIFA's rankings, 4-0 in Vaduz. Liverpool forward Fernando Torres, who failed to score in South Africa, rediscovered his touch with a double, the rout completed by the two Davids, Villa and Silva. "I feel better with each passing day following the injury and the goals tonight give me a lot of confidence," said Torres. Holland, defeated 1-0 by Spain in the World Cup final, were also quick out of the blocks on the long road to Ukraine and Poland, Bert van Marwijk's Oranje dishing out a 5-0 beating to minnows San Marino. Torres's Liverpool team-mate Dirk Kuyt set the Dutch on their way with an early penalty, with Klaas-Jan Huntelaar's hat-trick and veteran Ruud van Nistelrooy's injury-time strike rounding off their five-star performance. At Wembley, England, desperately disappointing in South Africa, went some way on the road to redemption with a sparkling 4-0 rout of Bulgaria. Jermain Defoe's treble and Adam Johnson's first goal for the Three Lions will have helped relieve the mounting pressure on coach Fabio Capello. "I was concentrating on the match, not the critics," said Capello. "We played very well. I knew that the players had been training well and that they had a great spirit." Key to the win was a revitalised Wayne Rooney, who has shaken off the lethargy that had gripped him at the World Cup, conjuring up three assists. Germany, who so cruelly exposed England at the World Cup, where they finished third, eked out a 1-0 win over Belgium in Brussels. Evergreen striker Miroslav Klose's 53rd international goal secured the three Group A points for Joachim Loew's side. Despite the win Germany are lying second to Guus Hiddink's Turkey, 3-0 winners in Kazakhstan. World Cup flops France entered their post-Raymond Domenech era in the same way they had left it, with a defeat -- new manager Laurent Blanc's competitive debut resulting in a 1-0 home loss to Belarus. "The problem is scoring goals and we haven't got players who are used to scoring goals," said Blanc. "But there were some things in our approach play that pleased me." In Tallinn, Estonia had 2006 world champions Italy running scared, with Sergei Zenjov giving them a shock early lead. But the Azzurri, under new management after their own failed World Cup defence, turned the game in three second-half minutes with goals from Antonio Cassano and Leonardo Bonucci to escape with a 2-1 win. It was Italy's first win of 2010 and first success in eight matches. "We struggled in the beginning because they had a fast striker, they're a physical team and they made it hard for us but we won because we were superior in every department," said Italy captain Andrea Pirlo. The most extrordinary game of the night occurred in Guimaraes, where an 89th-minute goal from Andres Avraam earned Cyprus a 4-4 draw at Group H rivals Portugal, whose coach Carlos Queiroz has been banned for six months for clashing with anti-doping officials prior to the World Cup. The visitors took a third-minute leader through Efstathios Aloneftis but Portugal quickly levelled through Hugo Almedia and twice led in the second half, only to be pegged back at the death. Elsewhere Greece, shock winners of Euro 2004 in Portugal, came from behind for a 1-1 home draw against Georgia and the Republic of Ireland put the misery of losing out on a World Cup place behind them with a gritty 1-0 win in Armenia. Scotland began their campaign with a goalless draw in Lithuania, Wales came unstuck 1-0 in Montenegro, while Northern Irish eyes were smiling after a 1-0 win in Slovenia. 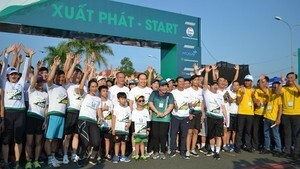 More than 4,000 participants from nationwide provinces and cities, 11 worldwide countries and territories took part in the 2019 Mekong Delta Marathon yesterday morning.